A 2003 Regency Beauty Institute graduate, Jessica began her career specializing in advanced haircutting and styling at Rocco Altobelli’s and continued her advanced haircutting education through Vidal Sassoon. 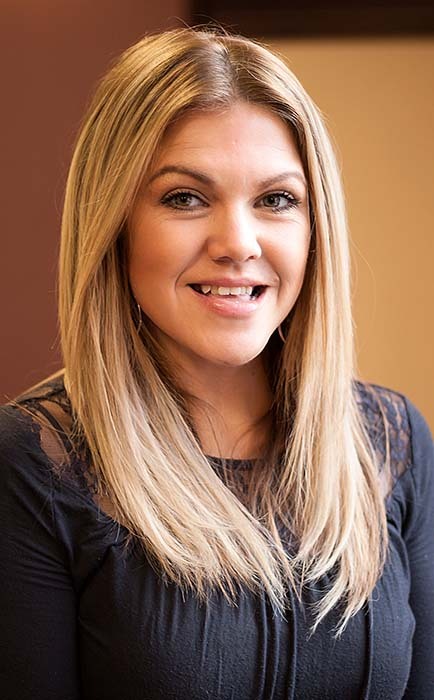 She joined the Simonson’s Salon & Spa team in 2005, servicing guests in all aspects of hair artistry. The knowledge she acquired from her specialized training helped prepare her advancement to Haircutting Educator in 2006. Jessica believes that hair is a science; understanding that no one person can have the same hair style as someone else without first understanding their hair. Developing a stylist’s precision haircutting skills is at the heart of the curriculum Jessica teaches. These are the skills that help stylists discover and execute hairstyles that complement an individual’s facial features and hair texture by understanding shape, balance, cutting techniques and fashion trends.